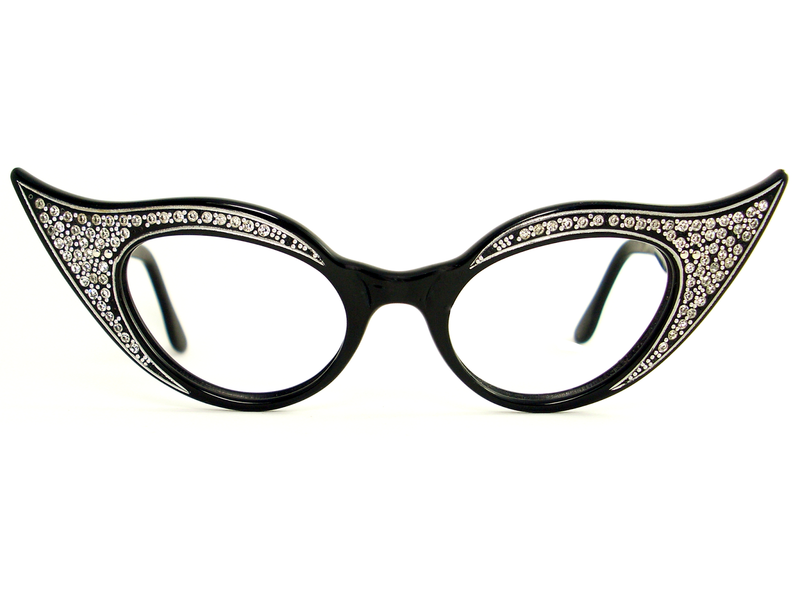 VINTAGE CAT EYE EYEGLASSES ABSOLUTELY STUNNING. 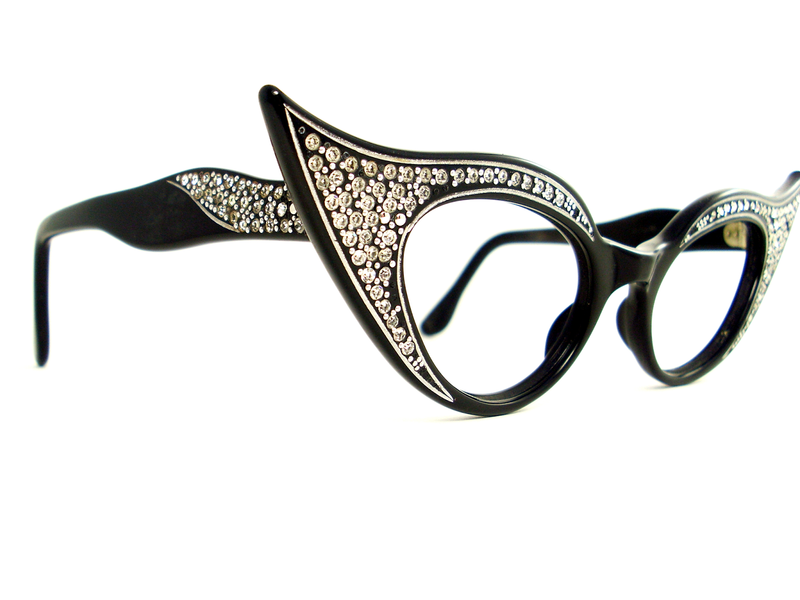 A MAGNIFICENT DISPLAY OF OPULENCE. 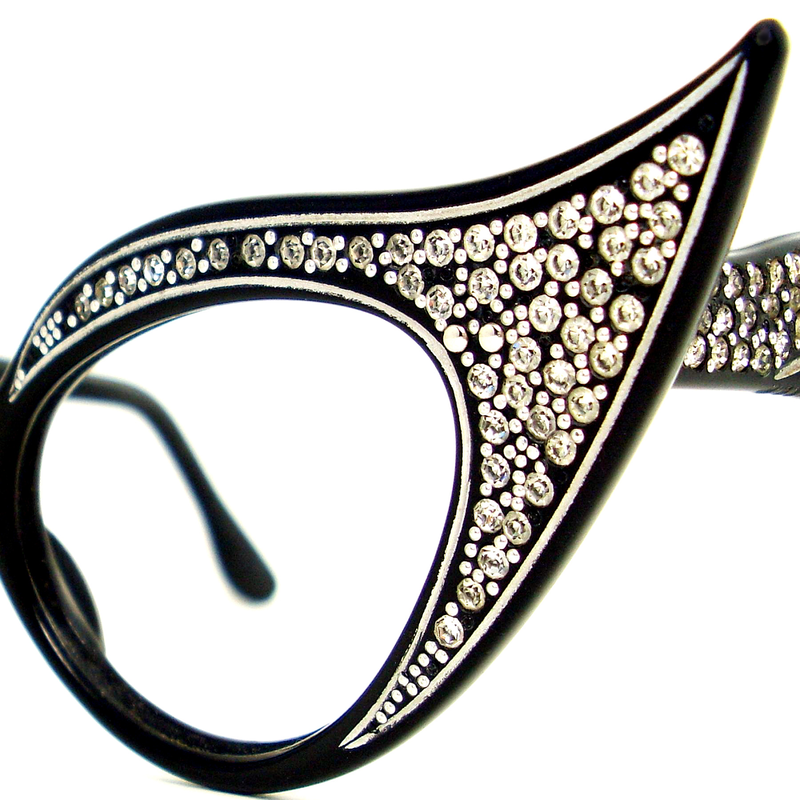 THE EXTREME CAT EYE WING OUTLINED WITH HAND PAINTED SILVER ACCENTUATES THE PLACEMENT OF CLEAR RHINESTONES AND SILVER BEADS.